Ralph Brower was born on November 24, 1939, in Akron, Ohio. He was commissioned through the Air Force ROTC program on June 9, 1961, and went on active duty beginning September 30, 1963. 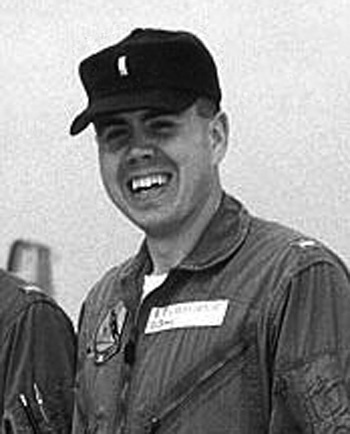 Lt Brower graduated from Undergraduate Pilot Training at Webb AFB, Texas, in October 1964, and was assigned to the 28th Military Airlift Squadron at Hill AFB, Utah, from November 1964 to May 1967. Capt Brower began flying combat missions as an HH-3E Jolly Green Giant helicopter pilot with the 37th Aerospace Rescue and Recovery Squadron at Da Nang AB in the Republic of Vietnam in May 1967, and he was killed in action on November 9, 1967. His remains have never been recovered. The President of the United States takes pride in presenting the Air Force Cross (Posthumously) to Ralph Wayne Brower, Captain, U.S. Air Force (Reserve), for extraordinary heroism in connection with military operations against an opposing armed force as an HH-3E pilot of the 37th Aero Space Rescue and Recovery Squadron, 3d Air Rescue and Recovery Group, DaNang Air Base, Vietnam, SEVENTH Air Force, in Southeast Asia on 9 November 1967. On that date, captain Brower attempted the night extraction of a ground reconnaissance team. Despite full knowledge that two helicopters had been shot down and a third severely damaged by intense, accurately directed hostile fire, Captain Brower, with determination, indomitable courage, and profession skill, established a hover on a steep slope within one hundred yards of hostile weapons positions and brought the wounded survivors aboard. The hostile forces closed in quickly, and as the helicopter departed, it was shot down. 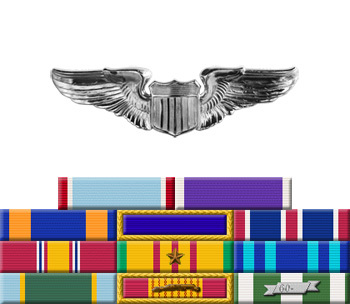 Through his extraordinary heroism, superb airmanship, and aggressiveness in the face of hostile forces, Captain Brower reflected the highest credit upon himself and the United States Air Force.